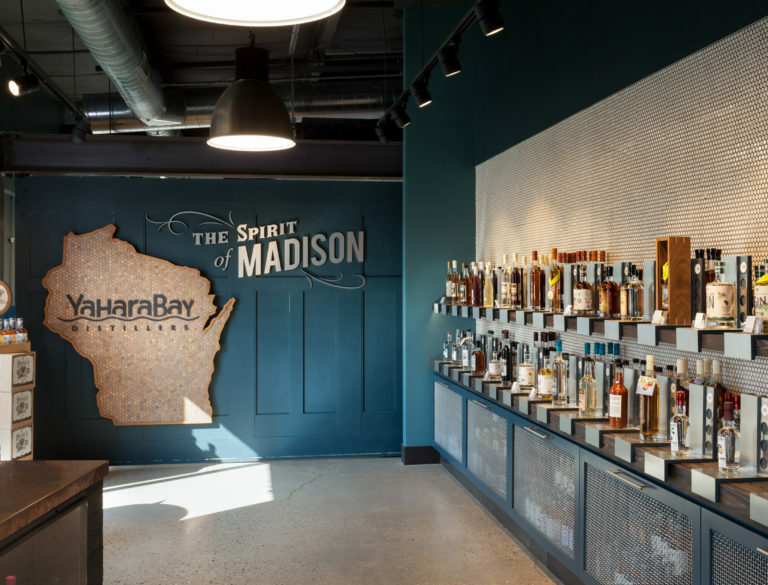 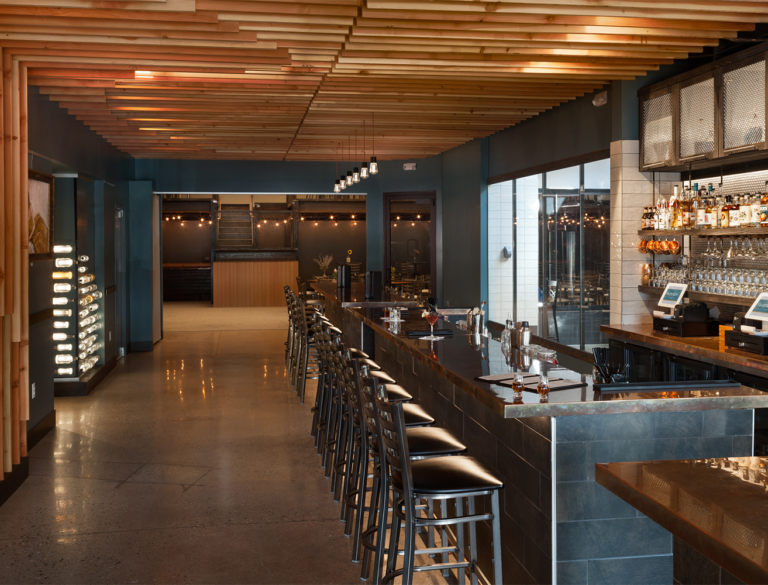 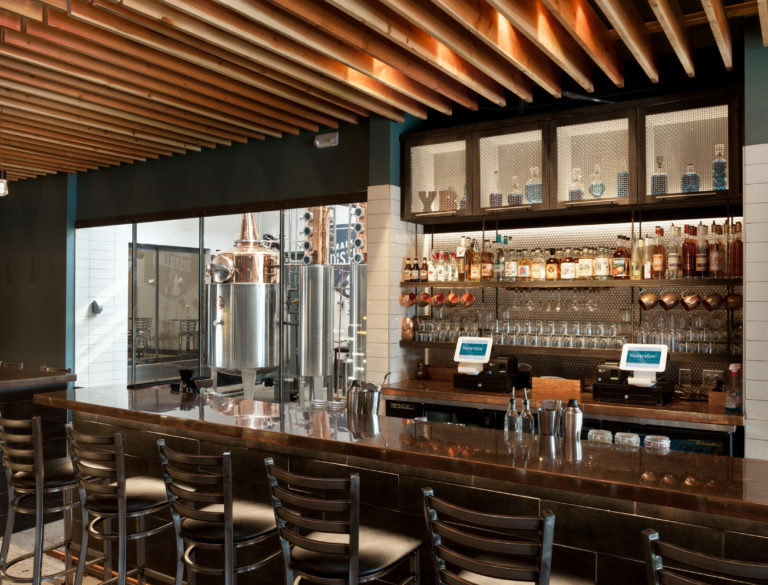 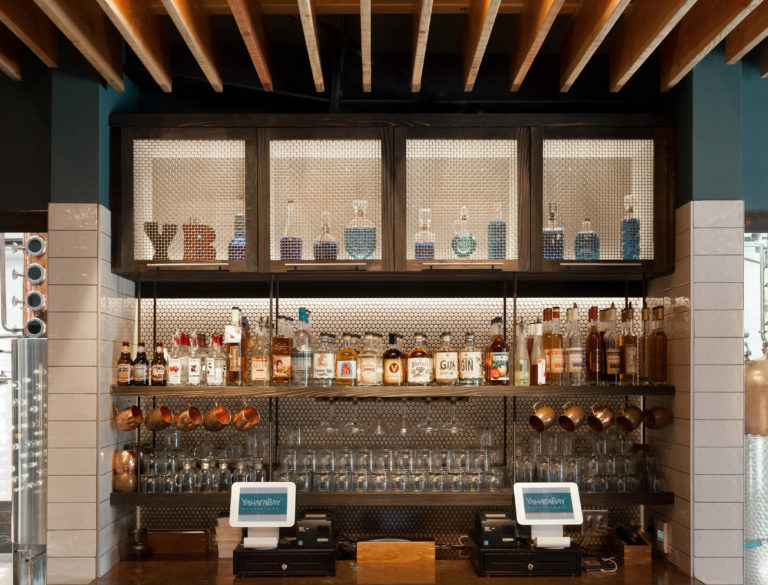 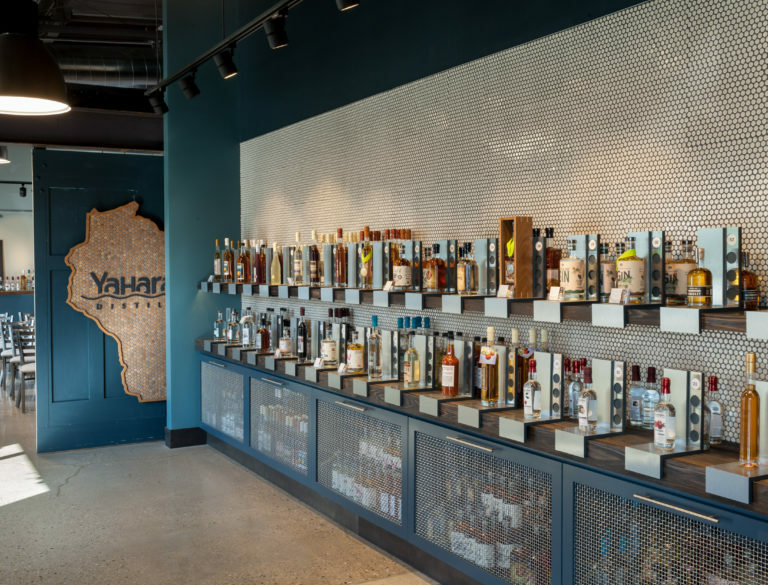 Yahara Bay Distillers Inc., a local, family-owned, artisan distillery in Madison, Wisconsin engaged Aro Eberle to design their new production, public house and event facility. 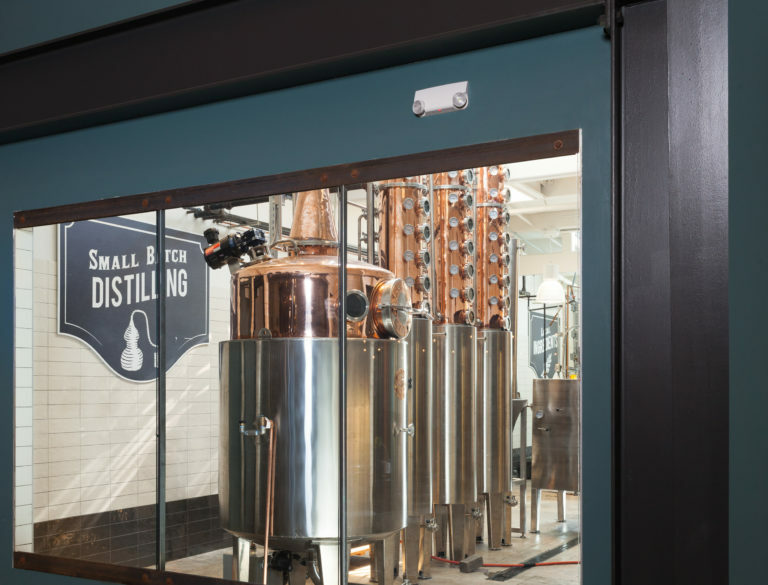 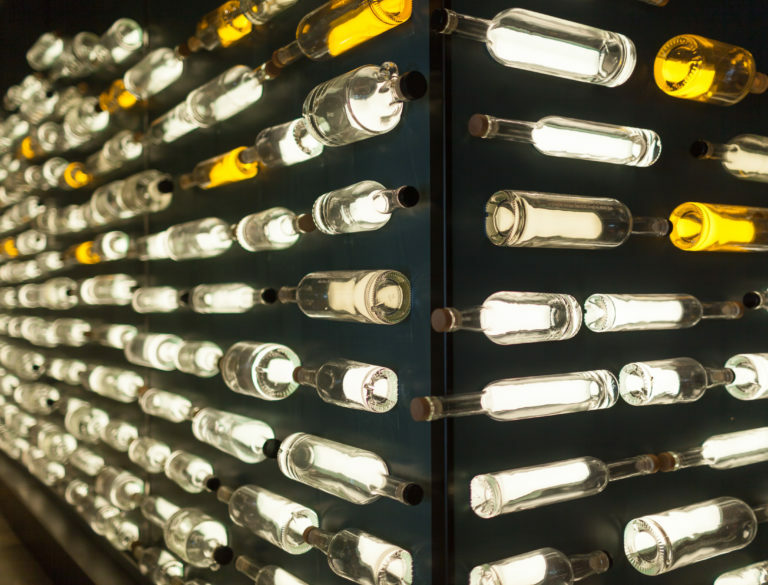 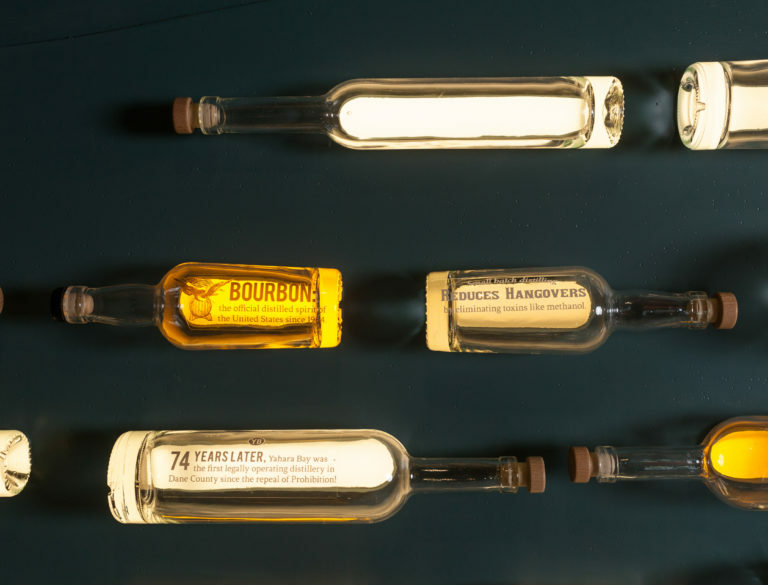 Their new space includes a production area for three stills, barrel aging rick house, full-service bar/tasting room, 180 person event space, art gallery and small event space, retail space, along with bottling, warehouse, and distribution facilities. 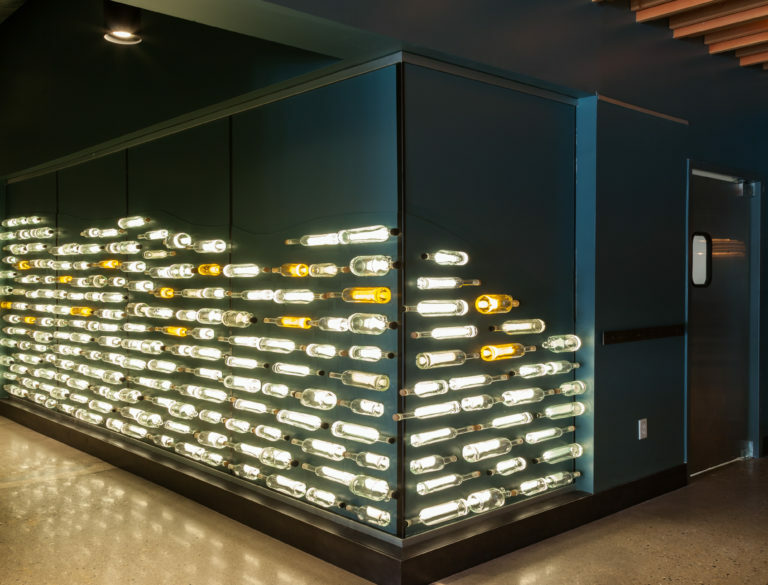 Aro Eberle also designed the tour and environmental graphics experience. 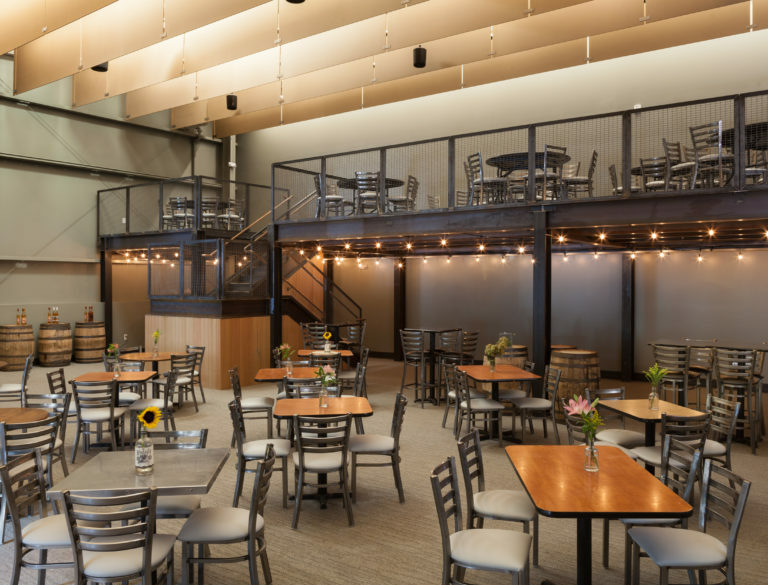 © 2019 Copyright ARO EBERLE ARCHITECTS.